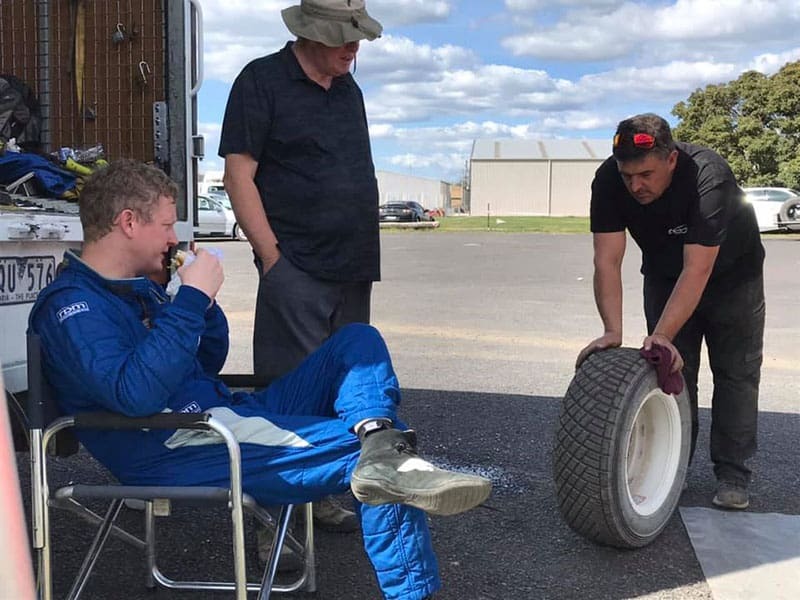 Victorians Glen Raymond and Kate Catford have now won the first two rounds of the 2019 NSW Rally Championship on Dunlop tyres. The pair took out the Caves Classic Rally, having already won the Mitta Mitta Mountain Rally. “The Dunlop tyres are still outgripping me – mid corner they are great,” Raymond said. The new Dunlop DZ88R is rapidly racking up a number of impressive victories, establishing itself as the tyre to beat. With improved durability, the DZ88R will be ideally suited to this year’s Alpine Rally around Lakes Entrance in December. For more details on the DZ88R, contact RallySport Mag supporter Stuckey Tyres. Glen Raymond took his second win in succession on Dunlop Tyres.